Want to try a tour in nature? 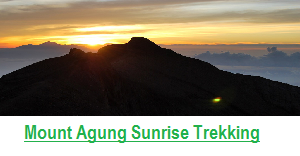 If so, Bali trekking tours in the village of Sambangan can be your consideration. 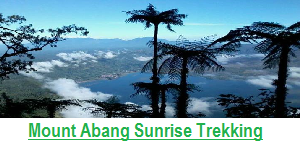 Waterfalls, fields and forest scenery will be the best experience during trekking in the village of Sambangan. Sambangan village located in the northern Bali, precisely in the district Sukasada, Buleleng. Sambangan village has a natural landscape that is natural and very beautiful, very suitable for those who want to enjoy outdoor recreation. So many foreign tourists who had come just to enjoy the beauty of the scenery in the village Sambangan. Sambangan village was chosen as the trekking in Bali, because the village has a unspoiled waterfall and beautiful rice field. 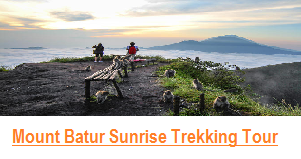 Want to see waterfalls, views of fields and forests while on holiday in Bali. 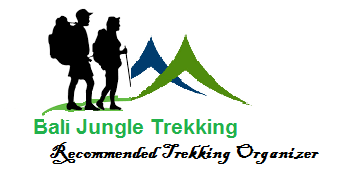 Jungle Trek in the village of Sambangan can be your consideration. Not just one waterfall, but seven waterfall which is will be the main tourist attractions in the village trekking of Samabangan. 7 to the waterfall has a name, which is given by the local people around the village. In the village Sambangan, farmers have very good cooperation with each other in managing their paddy fields. Farmers in the Sambangan village have a good team work and organizations in the distribution of water. The organization is known as the “Subak”. Subak organization in charge of dividing the water for farmers to irrigate farmers. 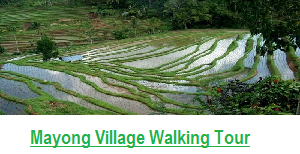 Trekking in the village Sambangan Bali takes 3 hours. The trip will start “orientation Secret Garden”. Orientation in this park will take about 30 minutes. 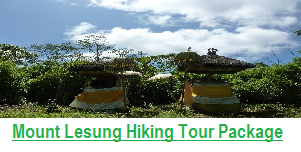 Along the trekking trip you will see the scenery of rice fields, various types of crops such as coffee plantations, brown, bark, palm trees, jackfruit, banana. Rest will be conducted in Tibuan Puncak Sari contained natural swimming pool and you will be served fresh fruit. The Perjananan trekking continue and you will see the waterfall Aling-Aling. About 1 hour drive you will find waterfalls Tract, which has a twin waterfall 10 meters high, which has a waterfall shoots 15 meters high. 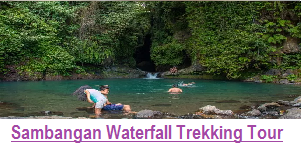 In this waterfall you can relax, sliding in a waterfall, swim and take photographs for documentation of your Bali nature. Please contact us for more detail info.